Whether you realise it or not, choosing the best road bike helmet to buy can be a tough decision these days. In 2019 where we can expect to have new helmets launched throughout the year. As road cyclists, we want our helmet to be good looking, lightweight, aero, low profile, provides plenty of ventilation and comes with MIPS for top head protection. Whether you’re looking for value for money bike helmets, or you just want the best one available, I’ve all of them covered for you. You’ll definitely find one that suits you below. 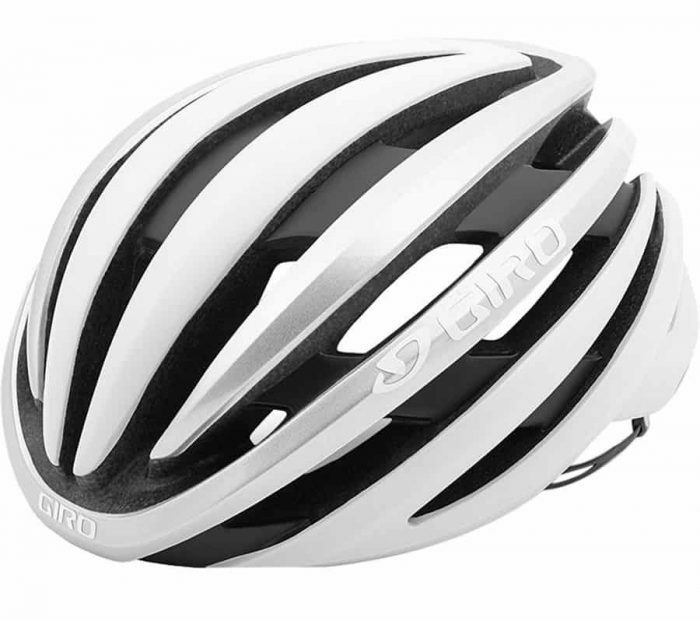 The Giro Cinder is my top pick as it packs many safety features in a budget friendly helmet. It’s a great alternative to its premium sibling, the Giro Synthe. Despite these impressive safety features, the Giro Cinder doesn’t put on much extra weight and comes in at 290 grams for a size Medium. The buttery smooth Roc Loc 5 retention system keeps the helmet locked on your head without you even knowing it’s there. Giro’s decision to use in-mold polycarbonate for its shell allows for the addition of 26 massive Wind Tunnel vents with internal channels that route air over your head and out through the exhaust at the back of the helmet. Lastly, the Giro Cinder is ponytail compatible (great for female cyclists), an often overlooked feature that I’m happy to see integrated into this fantastic CPSC certified helmet. The ever-popular Giro Synthe is a great choice for cyclists looking for a sleek, low-profile helmet that avoids the mushroom look. 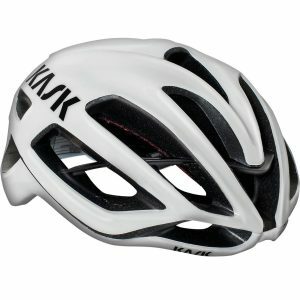 It’s another great example of a bike helmet that combines aerodynamics, ventilation, and low weight into a winning combination that is a favorite of pro riders and cyclists around the world. Coming in at 250 grams for a Medium size, the Synthe uses Giro’s Roc Loc retention system that gives you a highly customizable helmet fit so that the helmet sits exactly as youʼd like. The low-profile front ensures that when youʼre tucked low in the drops, the wind will carry straight over your helmet or into one of the 26 vents to cool you off. 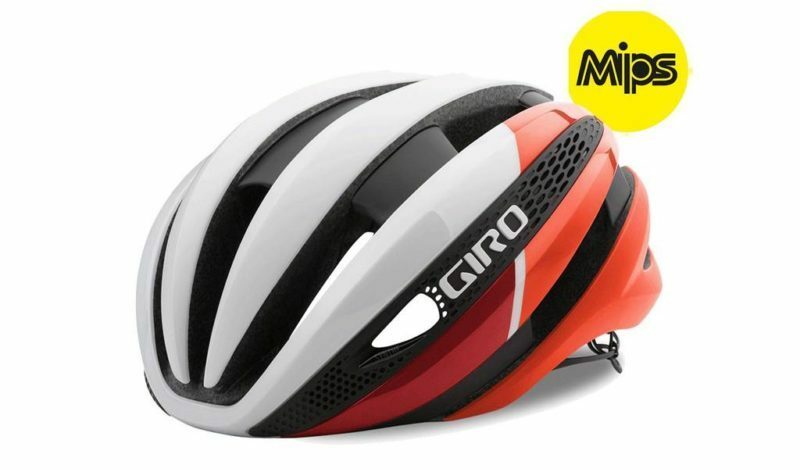 The Giro Synthe also offers the best range of safety features available with a MIPS version also available at a slightly higher price point. The Kask Mojito has been around for a long time, since 2012 when Bradley Wiggins wore it enroute to winning the Tour de France. 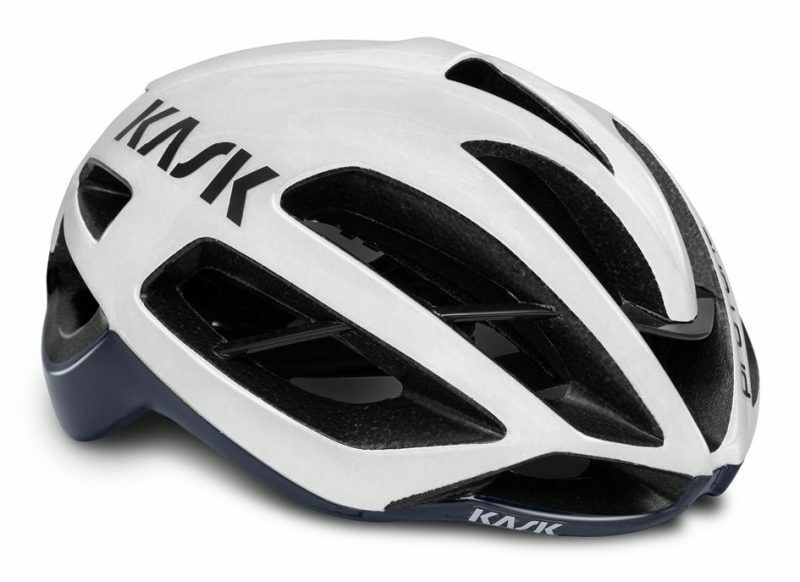 It used to be Kask’s top of the line road helmet but has since been bumped down to mid-tier. 6 years on, the Mojito continues to be a popular choice among road cyclists. The Mojito recently went through a minor update to improve helmet fitting and comfort, and it’s now called the Mojito X. At 226 grams, the Mojito is very light with 26 vents to keep your head cool and feeling well ventilated for the hottest summer days. If you’re a big fan of Kask and the premium Kask Protone is out of your budget, give the Mojito X a serious consideration. 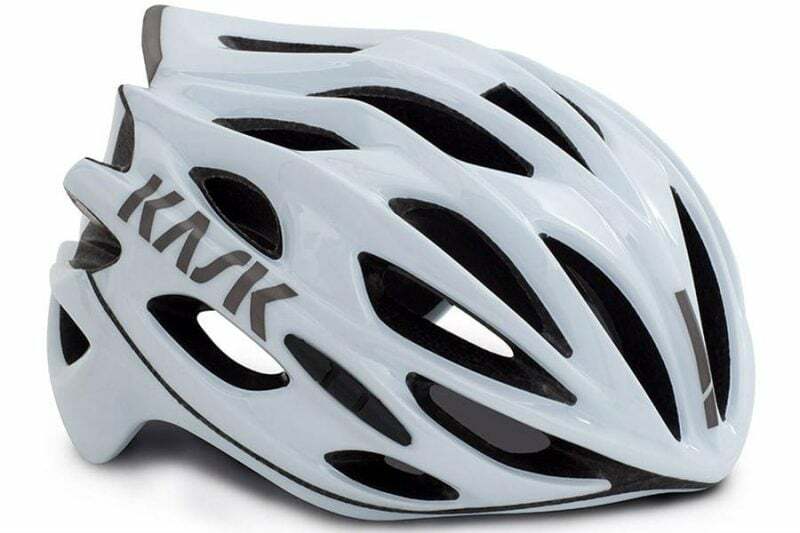 The Kask Protone is, quite simply, a perfect helmet. Previously, cyclists were told to pick two between weight, aerodynamics, and ventilation. With the Protone, you have all three. Weighing in at a mere 215 grams for Medium, the Protone manages to be light while delivering features some would only expect from a much heavier, clunkier helmet. 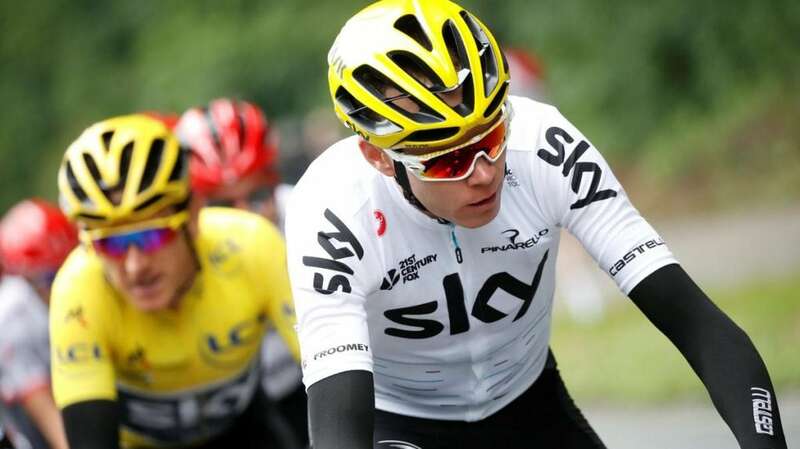 Kask wind-tested the Protone with Team Sky riders and has been Tour de France winner Chris Froomeʼs helmet of choice since its introduction. You can still see them wearing the Protone at the 2018 Tour de France. Because of its versatility, the Protone can be spotted on riders doing anything from flat time-trials to above category climbs deep in the Alps. When it first launched, the POC Octal divided the cycling communities worldwide with its unconventional design and loud fluo colorways. However, popular opinion quickly fell after the crash test results came in. 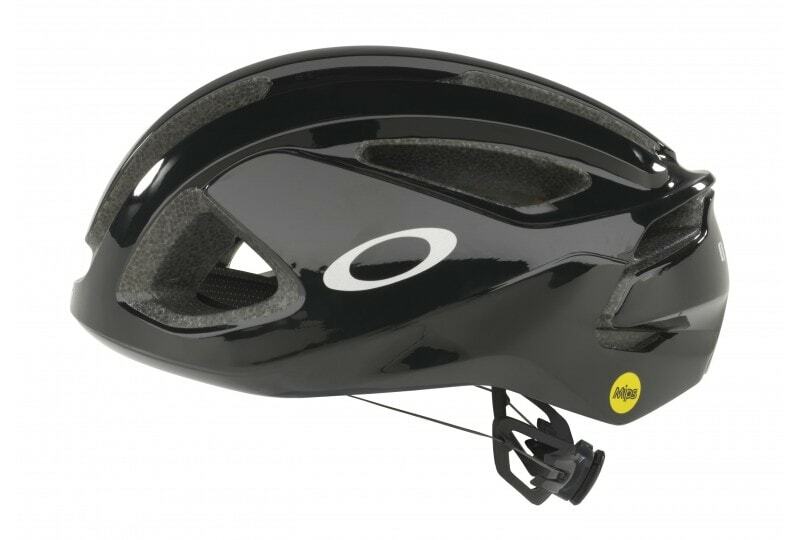 The Octal has a reputation of being one of the safest road bike helmet today. Even without the MIPS technology, the Octal performs strongly in the safety standards category. With the addition of MIPS, however, it’s in a class of its own. 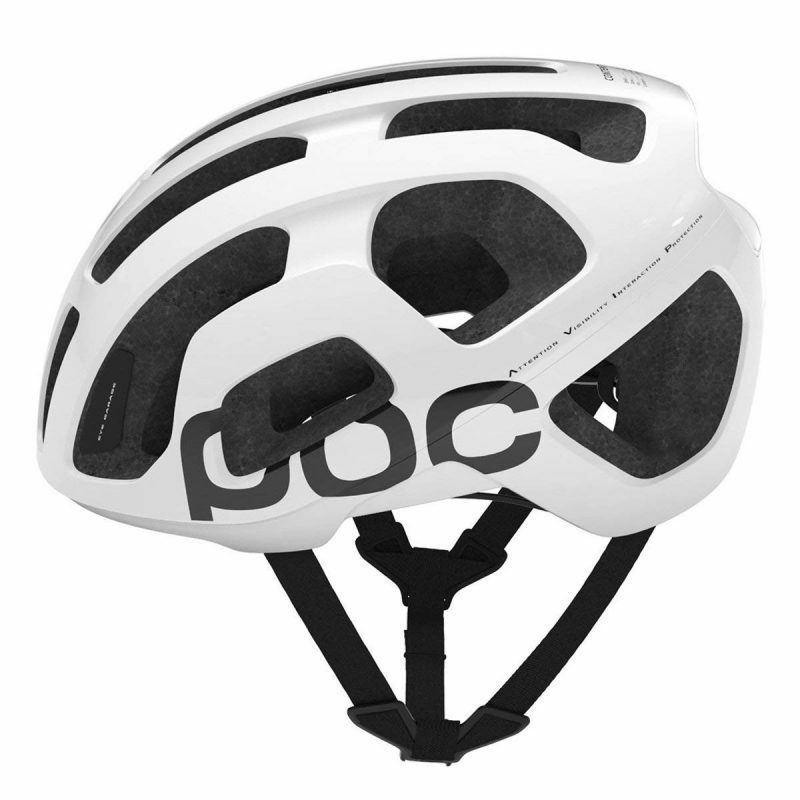 Coming in at 255 grams for size Medium, the Octal is able to fit serious safety into a lightweight helmet. Using a unibody shell construction, the Octal is noticeably aero while staying cool to boot. The massive vents spread across the front keep you cool on even the hottest of days, without sacrificing aerodynamics. Other subtle features include an integrated sunglasses holder and adjustment straps that are blended with the helmet’s liner for comfort. When it comes to the POC Octal, it’s either you love it or you don’t. I certainly do. 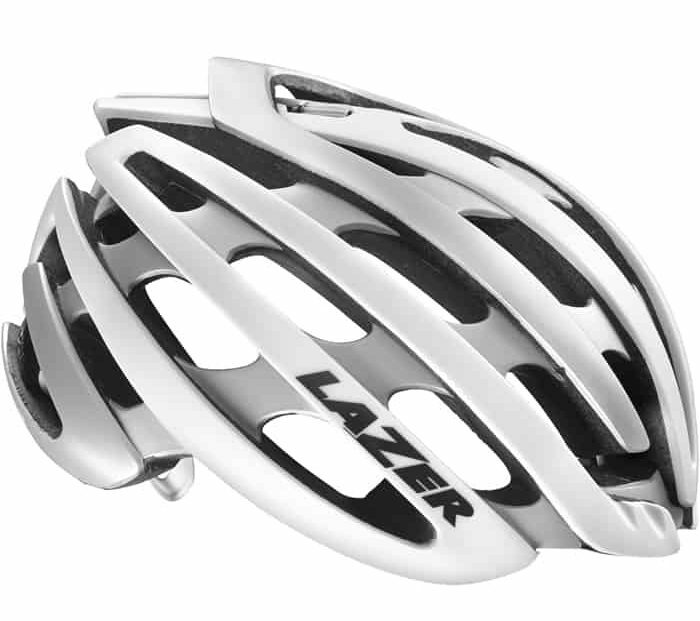 The Lazer Z1 MIPS is commonly known as the Tesla of bike helmets. Its efficiency is unmatched when you consider its high performance in varied conditions and built-in MIPS technology protecting your most valuable asset, your head. Weighing in at a low weight of 225 grams, the Lazer Z1 MIPS has 31 vents to keep you cool over your sweat-soaked brow. If you decide to squeeze out some fast aerodynamics gain, the Z1 comes with a transparent re-moveable aero shell. 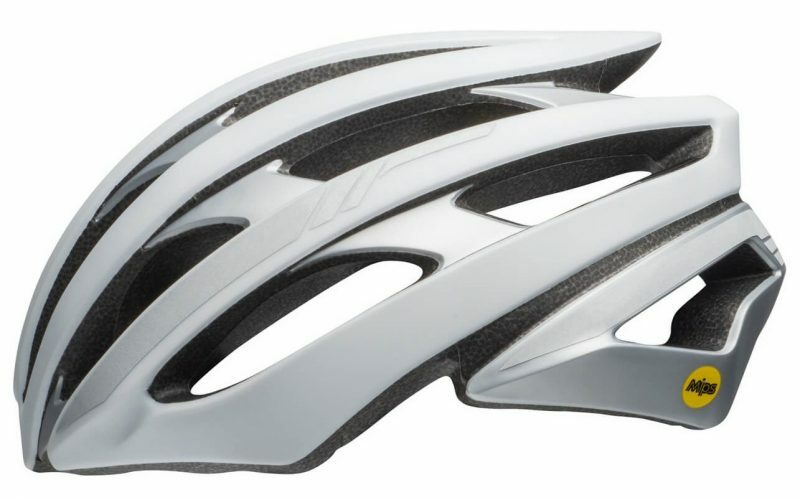 The Lazer Z1 MIPS can be both a regular or aero helmet with a removable outer shell. With decades of experience building safe helmets for the masses, Bell has integrated all of those into their flagship helmet, the Zephyr MIPS. Bell’s Zephyr MIPS takes a low-profile approach to helmet design. It has a good looking, minimalist looks. By staying close to the head, the Zephyr gives cyclists a sleek appearance that one might even call pro. At 280 grams for size Medium, the Bell Zephyr isn’t the lightest helmet on this list, but it’s certainly the most feature rich. Bell stopped at nothing to create a balanced helmet with equally strong performance aerodynamics, ventilation, and safety characteristics. Their Float Fit Race retention system cradles your head in such a way that you’ll quickly forget it’s there, even if you’re suffering up the last climb of the day. Speaking of climbing, you’ll be happy to know that their ventilation system works wonders even at low speeds. 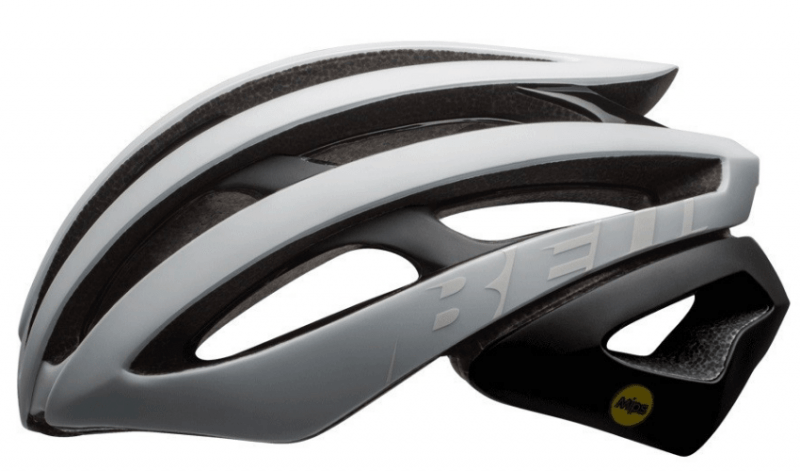 The Bell Stratus MIPS offers cyclists with incredible safety at a great price point. It sits one range below the premium Bell Zephyr which is known for its minimalist looks. UtilisingBellʼs Float Fit system, the helmet retention system helps keep it snug yet comfortable on your head. It weighs in at only 275 grams for a size Medium. You won’t even feel it’s there! Safety wise, the MIPS technology integration and CPSC compliance make the Bell Stratus MIPS helmet a great choice for road cyclists at all levels. If you’re riding in the summer, the Bell Stratus is one that you’d want to have with its 18 vents! Perhaps youʼve seen Mark Cavendish wearing the unique Oakley Aro3 in the pro peloton. It certainly stands apart from other helmet offerings. Featuring a MIPS liner with CPSC compliance, the Oakley Aro3 is a fantastic road helmet that passes all safety tests worldwide. It features massive vents to keep you from overheating even on the sunniest summer days. In laboratory tests, the Aro3 has been shown to effectively keep your head cool even at slow speeds. With its unique design, the Oakley Aro3 is great for cyclists which larger head circumference who wants to look good. Scott has came a long way with its helmet development in recent years. 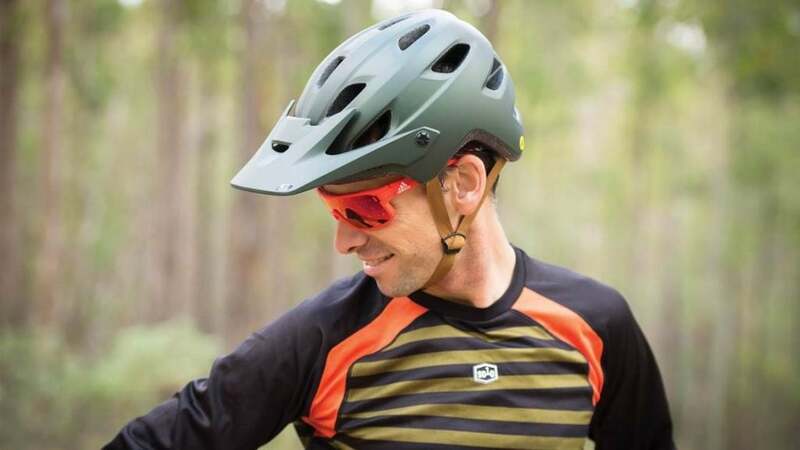 With the Scott Arx Plus MIPS, they now have a budget-friendly helmet that is a worth competitor to the Bells and Lazers. 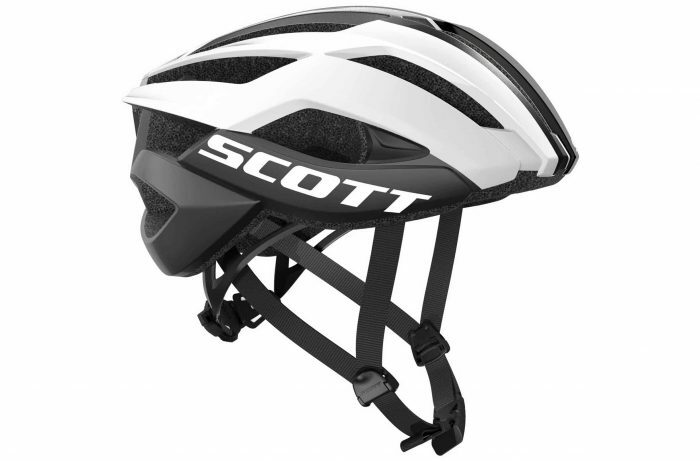 It has the distinction of being Scott’s first ever MIPS technology equipped helmet. The MIPS Brain Protection System integration means that you can count on it to be there for you if you go down, and that in itself makes this helmet a real winner. At 270 grams for a size Medium, the Arx Plus MIPS passes the weight test with flying colors. The in-mold polycarbonate construction helps keep weight down but yet still maintaining a high impact absorption rate. Scott’s famous MRAS retention system wraps the helmet firmly on your head without any sensations of pressure whatsoever, keeping you as comfortable throughout the ride. 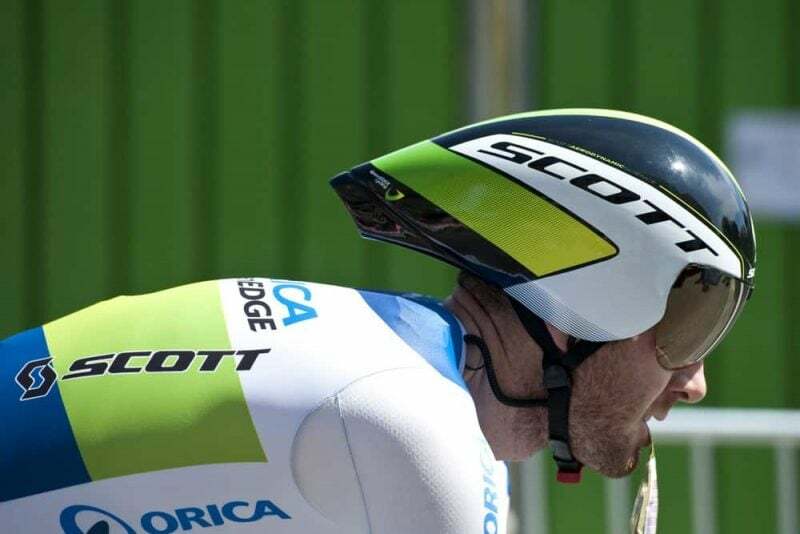 Give the Scott Arx Plus MIPS a serious consideration if you’ve a small head shape. You’d probably have noticed that there are different types of bike helmets out there. While all helmets are designed to minimise the impact on your head during a fall, they’re designed for different types of riding discipline. Having said that, there’s nothing wrong with wear any helmet of your choice, regardless of the discipline, unless you’re worried that you might look like a hubbard. Here are common types of bike helmets. These are commonly worn by all road cyclists. Their design is focused on providing plenty of comfort and ventilation through large air vents on hot days or when you’re doing a big effort. A good example of this is the POC Octal and the Giro Synthe. Besides ventilation, the high performance ones are also lightweight such as the Bell Zephyr, which is a weight weenie’s favorite. Commonly also known as TT helmets, they’re designed specifically to be used during Time Trials and triathlons. You can often see the pros wear them during the TT stages in the Grand Tours or people doing the Ironman. Some TT helmets might look weird to the non-cyclist. That’s because the design is focused around providing maximum aerodynamics gain rather than ventilation. 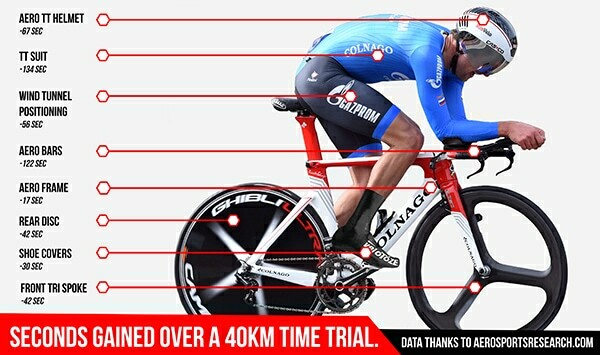 In some TT helmets, ventilation is almost non-existent. Commuter helmets sit on the opposite end of the spectrum. Some refer them as urban or city helmets because that’s where the riding happens in most cases. 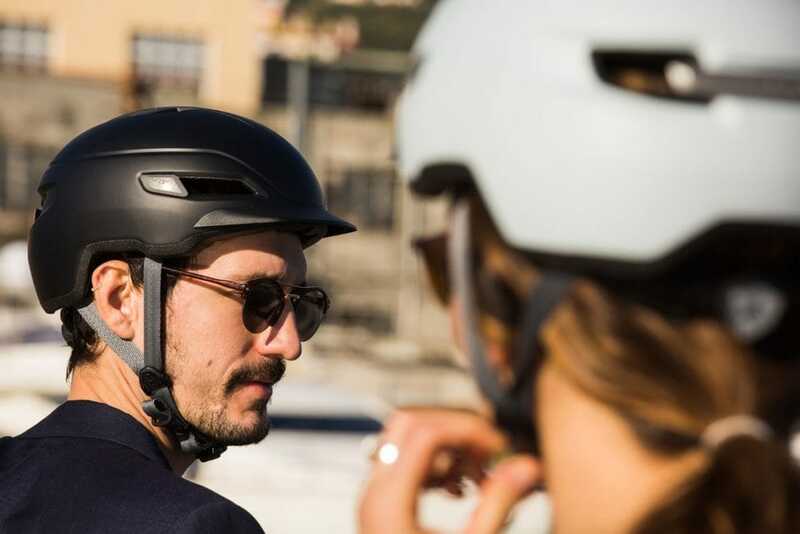 Because commuting is usually an easy to moderate effort, commuter helmets are very basic, have moderate ventilation and comes with different styles to suit a more casual clothing instead of lycra. 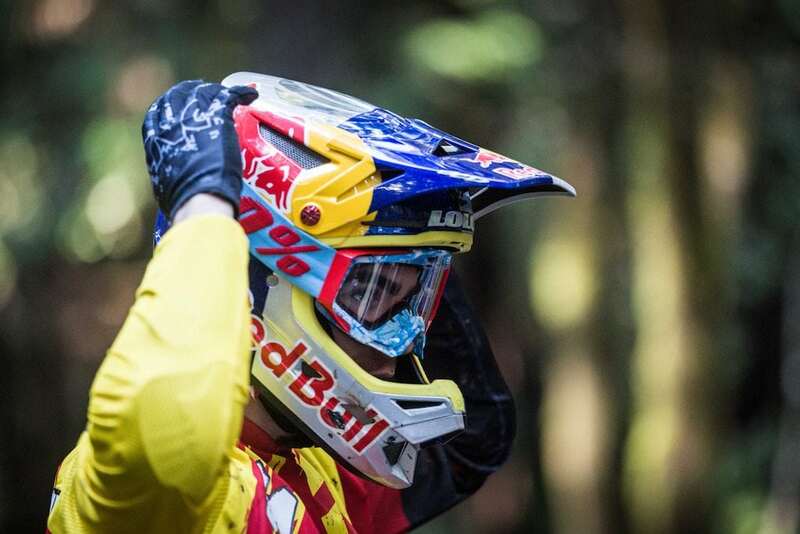 The first thing you’ll notice about mountain bike helmets is the front visor. Unlike road cycling, lighting conditions in the trails can be tricky and many mountain bikers prefer not to wear any cycling sunglasses. The removable visor helps keep the sun light away from the eyes. Mountain bike crashes can happen in all directions unlike road cycling where most crashes are in front of the cyclist due to momentum. Hence, mountain bike helmets are beefier especially the back and sides. BMX and downhill cycling is known for being extreme, fast and furious. They’re very similar to motorbikes helmet, but lighter. They usually provide a full face protection, including the chin area for the riders as a fall can be unpredictable. These helmets are similar to a commuter helmet but they come in smaller sizes to fit securely onto a kid’s head. They come in all sorts of colors, design and favorite cartoon characters to appeal to the kids. The work that goes into making a bike helmet safe for use on the road is unknown to most cyclist. It’s a lot of work involved. 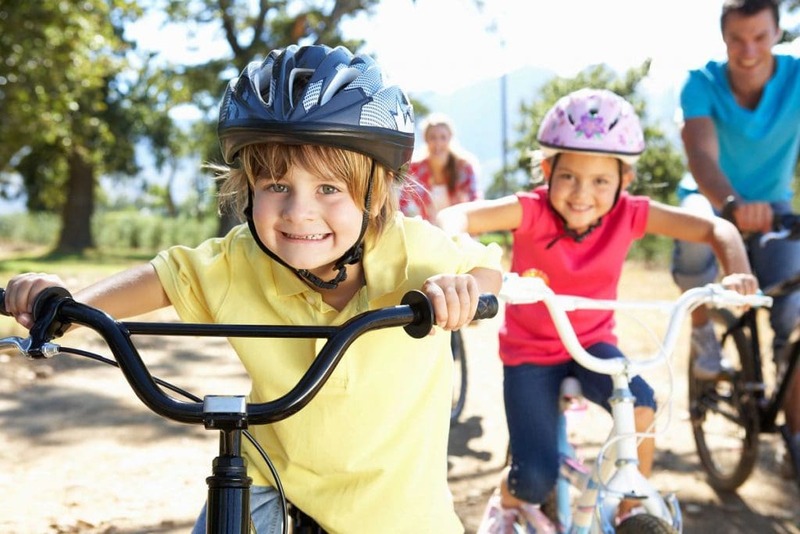 It all begins with bike helmet safety standards that are mandated on a country by country basis. Some countries have no standards while others, like Australia, the United States, and the European Union have rigorous standards. Helmet manufacturers who distribute their helmets in several countries must comply with different types of safety standards. Helmet safety standards tell manufacturers the exact amount of stress and impact a helmet must be able to undergo. The beneficial effect of this for cyclists worldwide is that to comply on a global level, helmet manufacturers must use extremely rigorous standards as a starting point. Key measurements in the test deal with the amount of impact a helmet is able to absorb, how well it disperses impact, and how well it stays attached to the your head under duress. The United States and European Union operate under very similar standards with the CPSC and CE respectively. For both of these standards, helmets are lab-tested with anvils dropped from up to 2 meters high. Different areas of the helmet are then stress tested and head coverage is considered. 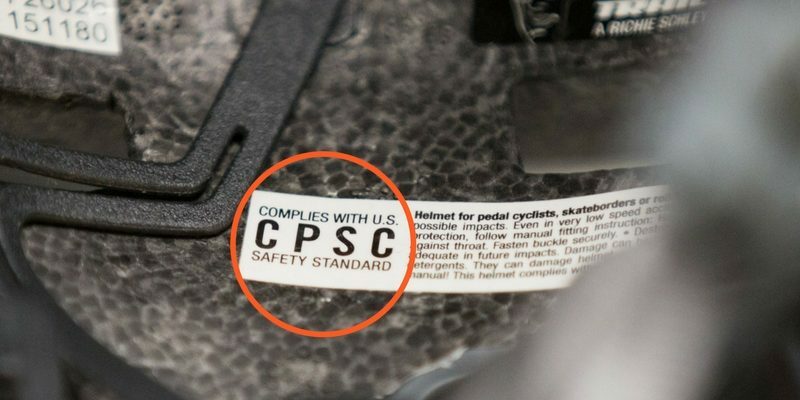 When you buy a helmet from an online merchant, odds are youʼre buying a CPSC/CE standard helmet. The CSPC and CE standards have become the closest thing bike helmet manufacturers have to an international standard. Perhaps no other country has a standard quite as tough as Australiaʼs AS/NZS 2063:2008 standard. In fact, the Australian helmet standard is so strict that manufacturers must produce an Australian only version that is heavier. 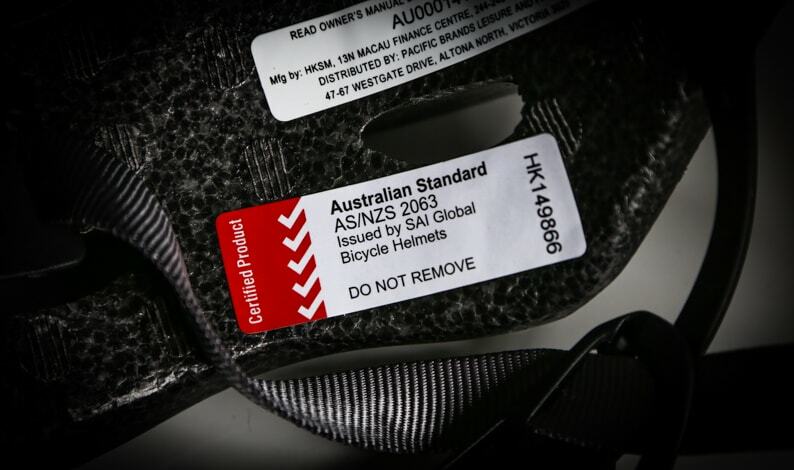 Road cyclists in Australia looking to buy a helmet from an online retailer will need to make sure that the version they are buying is AS/NZS 1698:2006 compliant, otherwise, in the eyes of the Australian law, you might as well ride without a helmet at all. Perhaps youʼve seen helmets begin to pop up on the market with a yellow MIPS tag. 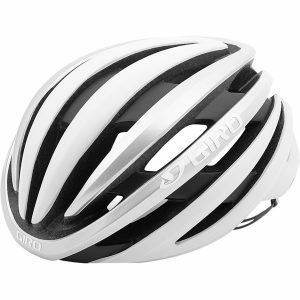 Normally, youʼll see one helmet, for instance the Giro Synthe, and priced slightly higher will be a Giro Synthe MIPS. The difference is that MIPS, short for Multi-directional Impact Protection System, is designed to protect your head from rotational force impacts. Initially developed at the Royal Institute of Technology in Sweden, MIPS helmets are made of two layers which slip against each other during an impact. By rotating slightly, the layers which make up MIPS helmets reduce the forces which normally contribute to concussion and other forms of brain injury. The types of impacts that MIPS protects you against are not common, but they do happen. And, in the off-chance that you do have one of these uncommon impacts, youʼll be happy to have a MIPS equipped helmet on your head. Remember the golden rule: Comfort equals efficiency, and efficiency equals speed. Always try on a helmet before buying to ensure that it’s actually comfortable for your head shape. Check on the manufacturer’s sizing guide before your purchase. What works for one may not work for another since our heads come in all shapes and sizes. A big consideration in the comfort department is the helmetʼs retention and padding system. Some helmets use Coolmax padding whereas others use proprietary pads. The difference could be huge for you as some may feel that Coolmax is scratchy whereas others find it silky. Retention systems are the same. Depending on how and where a particular retention system cradles your head, you may feel it’s more or less secure. When trying on a helmet, adjust and tighten the retention system as you would while on the bike. Now, without over exerting yourself, move your head around with a bit of force to see how the helmet sticks to your head. If it bobs around or thereʼs play regardless of how well strapped on it is, it likely isnʼt right for your particular head shape. Be very selective about the fit and comfort of your helmet since you will, after all, be spending plenty of time wearing it. Ventilation is a highly underrated category when seeking out a new helmet. Donʼt be one of the many who takes ventilation lightly because, as you may find out on a Category 1 climb in the middle of summer, it isnʼt to be overlooked. Previously, helmets seemed to pay little attention to how well helmets ventilated. Aerodynamics have typically been more important to athletes and manufacturers alike. Designing a helmet that is both aero and well-ventilated is a tough ask. Add safety standards into the mix, and you have a seemingly impossible combination. But, as technology and materials have progressed and consumer habits have changed, so too has the amount of ventilation on most helmets. Nowadays, it isnʼt uncommon to see helmets that appear to have more empty space than coverage. The POC Octal comes to mind, as does the Specialized Prevail. Take the type of riding you are likely to do into consideration before deciding on how much ventilation youʼll require. If you live in a cold area with a short, mild summer, itʼd be best to go with an aerodynamic helmet without excessive ventilation. When the cold months come on, youʼll regret the extra air flow. If you live in a hotter climate or do lots of climbing, then be sure to choose a very well ventilated helmet to keep yourself as cool as possible. The difference between a few additional vents and not having them can be as different as night and day when the mercury rises. Weight plays a huge role in road bike helmet selection. The lighter a helmet is, the more comfortable it will be over long periods of time. Even if you canʼt perceive the helmet’s weight on your head, wearing a heavy one can have consequences for your neck and shoulders as you unknowingly tense the muscles in those areas to prop up the weight. For this reason, finding a helmet with a good weight-to-coverage ratio is essential. As helmets go these days, they are much lighter than ever before. You will, however, trade-off certain safety features if you try to go as light as possible. MIPS helmets, as discussed in the previous section, add a weight penalty to helmets but contribute greatly to your overall safety. The same can be said for the retention systems used to keep the helmet firmly in place on your head. Kask is well known for their elaborate retention systems that do a fantastic job of cradling the head inside the helmet without allowing the helmet to rock or have unnecessary play. This is also why Kask helmets tend to be heavier than other helmets made by companies like Specialized, who integrate much lighter weight retention systems in their helmets. The way you decide is ultimately up to your preferences regarding the degree of safety and coverage youʼre after, but as a rule, going for the most comprehensive safety features should take precedence over low weight. These days, it’s almost impossible to find a helmet that doesnʼt have at least some aerodynamic characteristics built in. The aero helmet craze that has swept road cycling the last several years doesnʼt show any sign of letting up, with nearly all of the best selling helmets being the same worn by sprinters and even time trialists in pro races. So, the question isnʼt whether or not you want an aerodynamic helmet. The question is: How aerodynamic do you want your helmet to be? Very aerodynamic helmets such as the Bontrager Ballista place a premium on cutting through the air with the least amount of drag and very little else. The more aerodynamic a helmet is, the less ventilation it will have. If you tend to do lots of climbing, riding in the hills, and arenʼt so concerned with saving every possible watt on flat roads, then an aerodynamic helmet isnʼt for you. If, however, you compete in time trials, love dropping your friends on flat group rides, or find yourself coming against lots of headwind and are looking to save energy, then an aerodynamic choice will be right up your alley. Replacing a bike helmet is something that not many of us consider but is critical to maintaining your safety when riding. If you crashed in your helmet or otherwise impacted it, you must replace it. Even if there are no visible marks, dents, cracks, or signs that it has been damaged in any way, the integrity of the helmet may be compromised. Donʼt gamble here. Just replace the helmet. If your current helmet is old (over 5 years), then upgrades to technology have become available in the intervening years that put your helmet in the obsolete category. As time goes on, technology becomes increasingly better, and keeping your helmet up to date can save your brain. 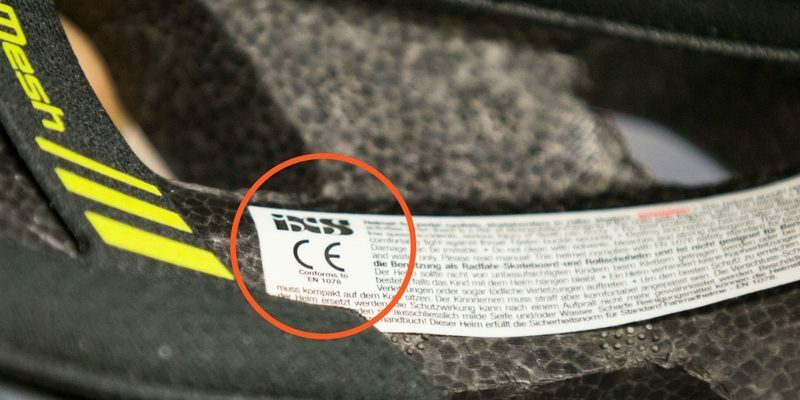 Check the stickers on the inside of your helmet to see which standards they comply with. Search the standards online to make sure they are current. If not, consider replacing your helmet right away. Some companies such as MET tell their customers that, if taken care of properly and not crashed, helmets should last up to 8 years before needing to be replaced.